Watch Natalie Porter make this modern Peony Flower Hoop with our one-minute bitesize video! For the full course along with Tools and Ingredients lists and step by step lessons go to Peony Flower Hoop – Full Tutorial. 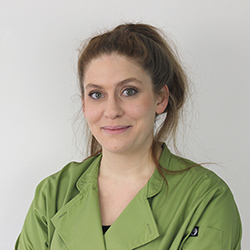 Natalie Porter is a multi award winning cake maker based in Hertfordshire, just north of London. She started making cakes about six years ago, when she decided to take on the challenge of making her own wedding cake... Since then she has made hundreds of wedding cakes, writes frequently for cake magazines and has invented the Rapid Rose - her signature tool and method for making sugar roses. She has recently added the Perfect Peony to the Rapid Rose range, is super excited to have filmed the tutorial with PBSS and currently working on her debut book.